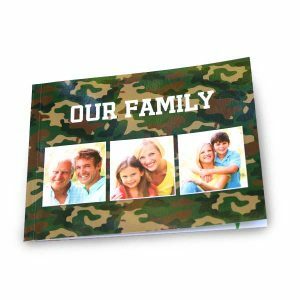 At RitzPix, not only can you order photos online, but you can create brilliant, colorful photo books that showcase and preserve your most cherished memories for family and future generations. Customize the perfect album with dozens of photos from your phone or laptop. Our custom soft cover photo books can be personalized front to back with digital pictures, artwork, text, and our large selection of page templates! Create the perfect gift with our 4×6 photo book or make your own 8×8 soft cover to stroll down memory lane with friends and family. We offer several custom options so you can custom design a picture perfect album for any occasion! Need more photo book ideas? If you like scrapbooking, check out our 12×12 scrapbook prints. Or, order 4×4 glossy photo prints with classic, white borders to feature your Instagram memories in style! Above all, RitzPix uses the best quality printing papers and proprietary inks for the richest print quality online.